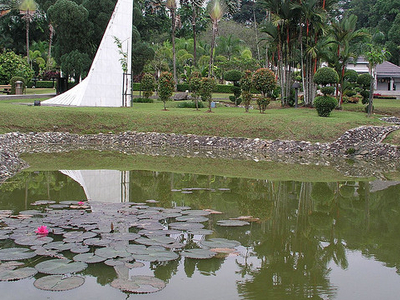 ASEAN Sculpture Garden, situated adjacent to the National Monument and in the vicinity of the Lake Gardens in Kuala Lumpur, Malaysia is a landscaped garden with a collection of prize-winning sculptures in wood, marble, iron and bamboo. Exhibits have been crafted by artists from the ASEAN region. Here's the our members favorite photos of "Gardens near Golden Triangle". Upload your photo of ASEAN Sculpture Garden!